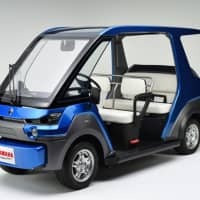 IWATA, April 5, 2019—Yamaha Motor Co., Ltd. (Tokyo: 7272) announced today that testing on public roads of YG-M FC prototype fuel cell vehicle will begin on April 18. Aiming to deliver a seamless vehicle sharing service, the trial will take place on a city-center course in Wajima City, Ishikawa Prefecture, including scheduled routes as part of the city’s “WA-MO” new transport system. 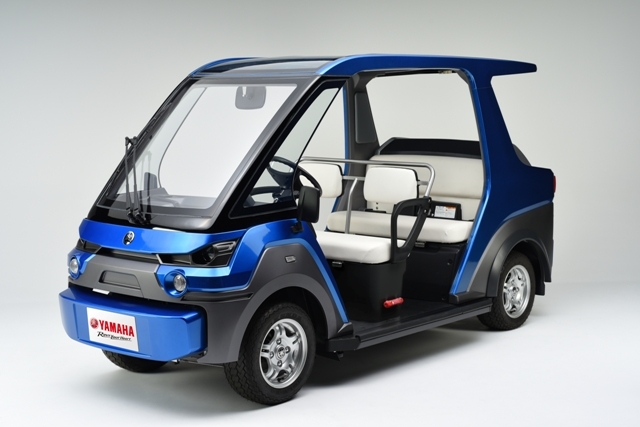 Compared to electric Public Personal Mobility vehicles of similar size, the fuel-cell prototype has the advantages of longer range and shorter refueling time, enabling less frequent recharging and service operation with fewer vehicles. This initiative is in alignment with the Japanese Government’s basic hydrogen strategy of promoting the spread and installation of fuel cell vehicles and hydrogen stations, and also contributes to addressing social issues such as reducing greenhouse gas emissions and delivering the next generation of last-mile transport. In addition, it promotes “Transforming Mobility,” part of our long-term vision of “ART for Human Possibilities,” and is a step toward the targets in our Environmental Plan 2050 of a 50% reduction in product CO2 emissions and a 50% reduction in resource usage. The YG-M FC is planned to be displayed at the Automotive Engineering Exposition 2019 Yokohama from May 22.